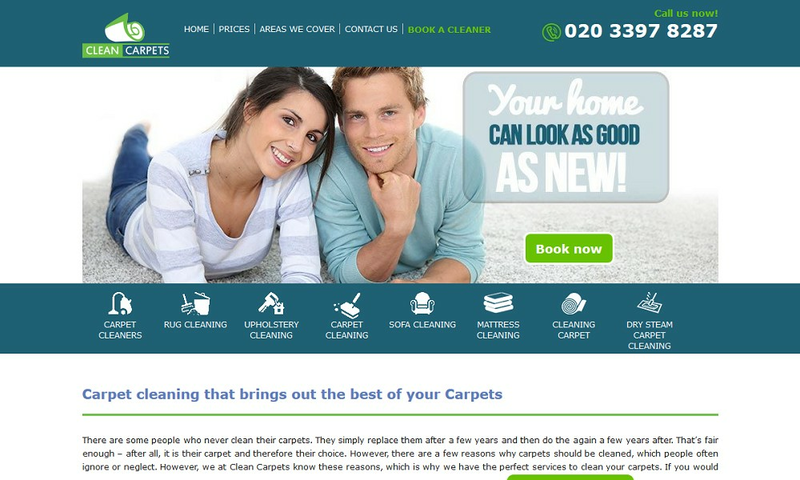 Clean Carpets are a team of professional cleaners serving the whole Greater London and providing the most cost-effective cleaning services. The vast array of cleaning options (carpet, rug, upholstery, mattress, sofa cleaning) gives our private and business customers the freedom to choose the best services according to their demands. Equipped with the latest cleaning machines and eco-friendly products, we are determined to surpass your expectations in terms of impeccable results. Find us throughout the whole week and book a service on 020 3397 8287 at any time!